You can download all code samples from here. If you already have my Power Query editor for Notepad++ (or want to build it) you can open the file in Notepad++. Otherwise open it in a simple text editor and paste it into the Advanced Editor of Power Query or Power BI Desktop. I will refer more frequently to the Microsoft Power Query for Excel Formula Language Specification. You can download it here. In my previous post I defined a record, which then functioned as my metadata record. Then I changed the type of my custom function and in this step I added the new metadata record to my custom function. In this Version 2, which I prefer over Version 1, I will explicitly define a new type function with its associated metadata record. This gives me greater flexibility to access the individual parameters of the function. This will be part of the third part of this series in a couple of weeks. This is the definition of the metadata record, as you already know it from my previous post. You might think: „And why is this his prefered version of adding documentation to a custom function? 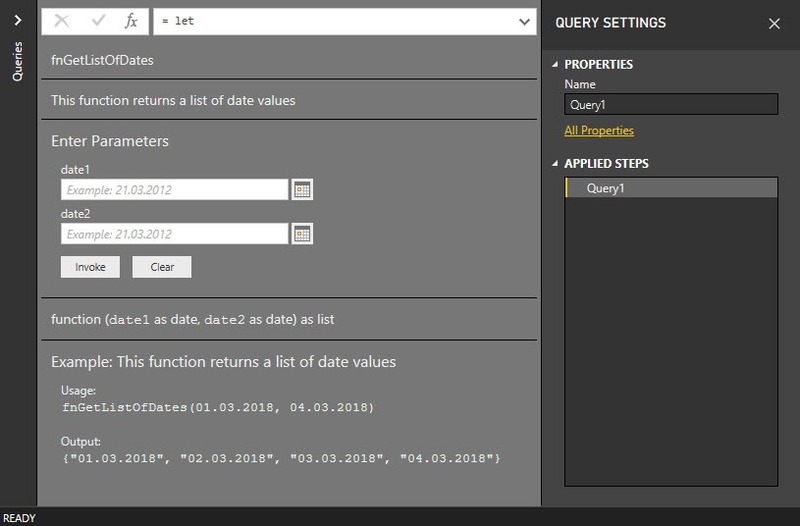 This looks much more difficult!“ This may be true, but this version allows me to modify the metadata not only for the custom function, but also for each parameter of the custom function. 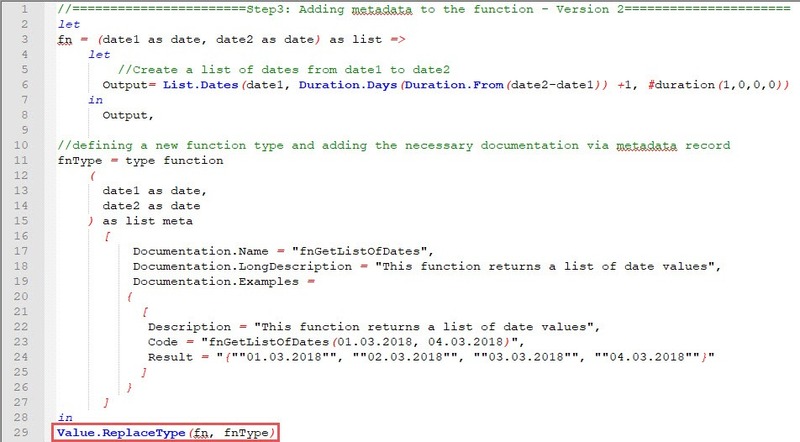 How this works and what it can be useful for, you will find out in the next post 🙂 If you want to dig deeper into the M type value system, take a look into the Microsoft Power Query for Excel Formula Language Specification, chapter 5 (Types). Now let’s add this type to my custom functon. My next post will cover how you can document single parameters and also define allowed values. At this point using version 2 brings real added value.